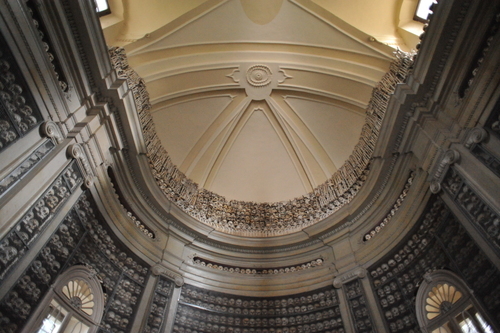 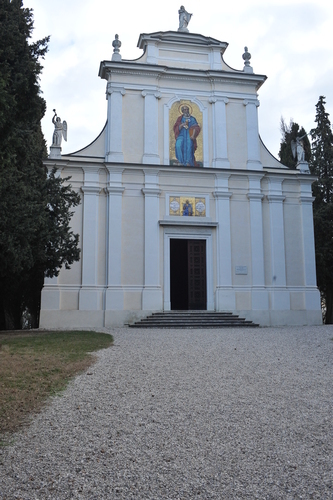 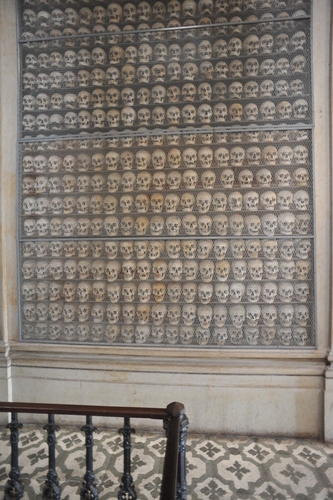 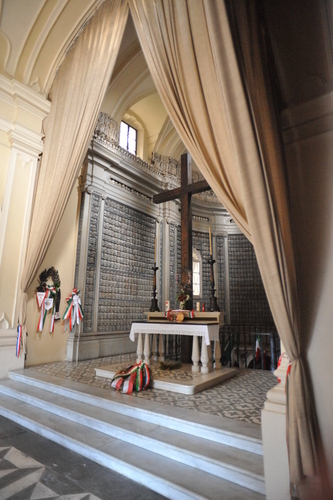 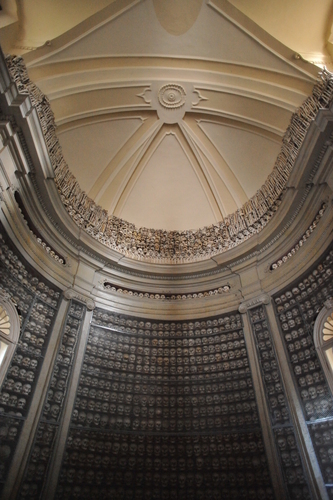 This Chapel-Ossuary in the lower part of Solferino contains the remains of hundreds of victims of the tremendous battle which was fought nearby on the 24th of June 1859. 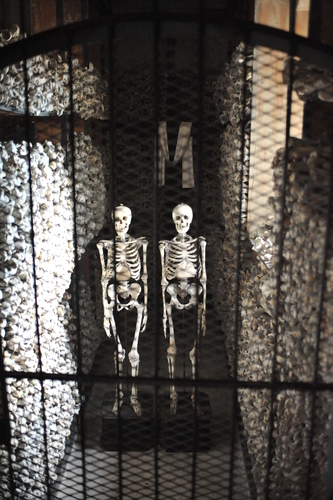 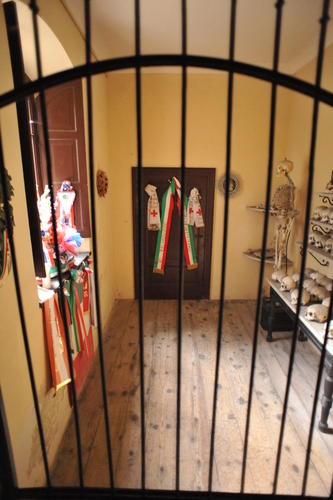 Over 10.000 men lost their lives and their bodies were buried in mass graves. 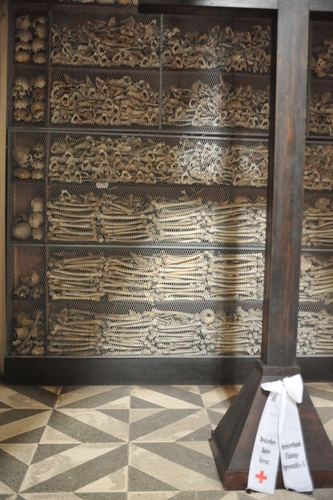 The health laws in force at that time didn't allow to disentomb the bodies before ten years from the death. 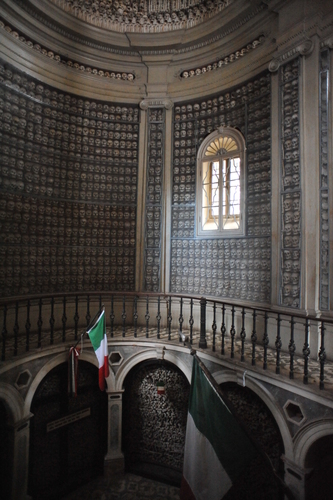 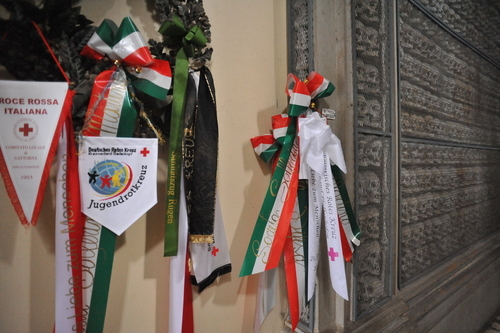 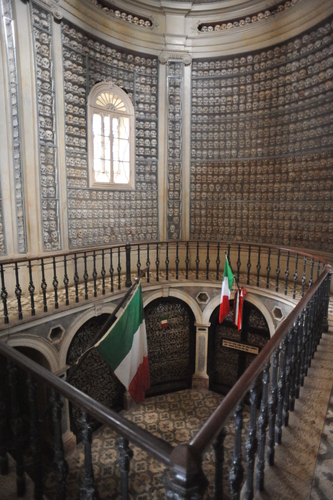 So, in 1870, eleven years later, the "Society San Martino e Solferino" was allowed by health inspectors to exhumate the corpses and to collect the bones in two ossuaries in San Martino and in Solferino, arranged for this purpose. 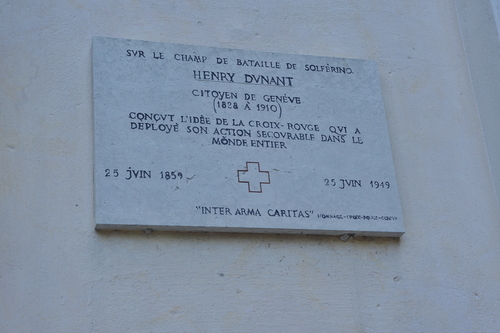 On the facade of the chapel, a memorial tablet remembers that on that battlefield Jean Henry Dunant first conceived the idea of the International Red Cross.